EN Barnet Move out & End of Tenancy Cleaning | Quality Property Care Ltd.
To receive the finest move out cleaning in Barnet EN, call 020 3746 4287 and request a free quote from our team. The client support centre is available so you can get in touch with us right after regular working hours for details or reservations. The service is ideal for the cleaning of both commercial and home properties, our employees do not leave your place until the job is done. As this is not an hourly based service you will be charged based on criteria such as rooms amount & size, what you want cleansed and so forth. Time is certainly not a constraint for our team nor is the location as we operate throughout the entire Barnet ENregion as well as the Greater London area. The service itself is suitable for landlords, tenants, property managers and building managers, with unique rates for each one, based on the volume of the order. 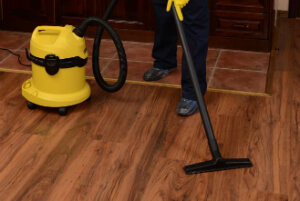 We clean the overall property or particular rooms, with no constraints on where and what we can treat. We clean the kitchen area, bath, hallway, stairwell, living room, the home furniture, around the doors, on top of the doorframes, in your sleeping rooms and so on, all done expertly and with no hazardous chemicals. Starting with the pantry shelves and storage we clean in and out, clean the grips, clean marks and close to handles, throw away unwanted items, dust the garbage bin, clean up on top and under it, clean the cleaning soap dispenser inside and out. Any kind of unnecessary items are either thrown away or are or packed and left in a pound or donated to a home in need, if this is just what the client chooses. The sink we clean and descale, then it is easily wiped clean and dried. Any food is cleansed away thrown out, grime and dust around the sunk is removed and wiped down. The sink is cleared and the wall tiles all around it are wiped clean and dry. For home appliances like fridges and freezers we currently have a distinctive treatment that eliminates dirt, mildew and food deposits, the handles are wiped down, the rubberized seal is cleaned out as well as is the top of the refrigerator. The freezer is defrosted and cleaned out on the inside and out, the door grips are also cleansed to remove gross residues that might have been left by the renter. The dishwasher is washed thoroughly as well, all debris, mould and leftovers are removed from it, filters are cleaned out as is the soap dispenser. The washing machine is cleansed in and out, its seal is inspected and a cleaning program is used to clean it effectively, after which it is dried out with a hand towel. Compartments and shelving we clear out, eliminating any leftover items from the renter, dust through and wipe down handles in and out. To deal with home furnishings we have a specific upholstery cleaning service, which can be reserved in addition to the end of tenancy cleaning service. We wipe down kitchen tables and eliminate slimy stains and finger prints. There is a primary home furnishings cleaning process, we get rid of the cushions and hoover inside of the couch to eliminate crumbs and dust. Bed furniture and storage are moved so we can clean underneath, sofas and other pieces of furniture are also cleaned so the sections below them can be reached. That service is appropriate for tenants moving out, for landlords organizing a location for a tenant, property managers clearing out a room or people who are buying or selling a property. We work hand in hand with our clients to guarantee their maximum pleasure; our cleaning squads do not leave the premise until we have entirely completed the job. Virtually all of our tasks are guided by a plan created or approved by our clientele, in order to make certain that every little thing is up to their requirements. Using professional equipment we can ensure that all areas and spots in the residence are spotless, starting with a more general sweep of the property then focusing on particular areas like cupboards, bathrooms, kitchens, living rooms and so on. Don`t hesitate to make a booking for our excellent end of tenancy cleaning service. We offer special discount rates on early booking! Get a free quote today! Call 020 3746 4287 right now - we are adaptive enough and understanding and we will book you in a most practical for you time!